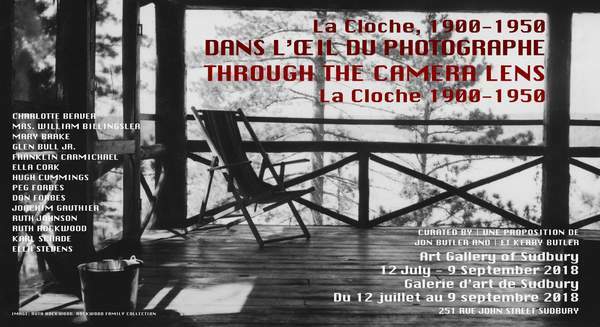 The exhibit Through the Camera Lens: La Cloche 1900-1950, opens this Thursday at 5:00pm and runs until September 9th. The Butlers have been collecting and conserving photographs from the families of the Willisville area becoming historical experts on the histories and genealogies of La Cloche. After being featured at Art Gallery of Sudbury, the exhibition will circulate to the Timmins Museum and National Exhibition Centre in 2020. The Sudbury gallery is located at 251 John Street.